Tzeelim (Israel) (AFP) - Once again this winter, following days of very heavy rainfall across the region, the banks of a riverbed running through central Gaza were breached, flooding dozens of Palestinian homes. For the residents, there was no doubt: Israel was responsible after deliberately opening "a dam" to flood the enclave. But an examination of the facts on the Israeli side tells another story, shattering a long-held Palestinian myth. People living in Wadi Gaza say flooding happens every year after heavy rain, creating yet another challenge for those struggling to survive in the tiny coastal territory. Residents of the Gaza Strip have lived through three wars in the past six years and are unable to leave due to an Israeli blockade. That Israel, the invisible enemy on the other side of the fence, would flood Gaza in a bid to make life even worse is therefore accepted as fact -- as is the alleged existence of one or more dams upstream controlled by the Jewish state. Following the latest flood at the weekend, the local authorities in Gaza on Sunday published an "urgent" statement which reiterated the claim that Israel was to blame. 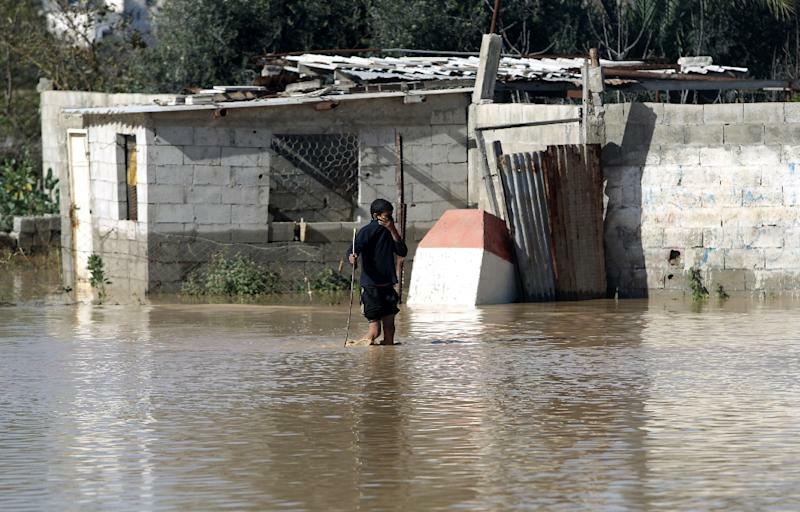 AFP reported these allegations on Sunday February 22, in the form of a video and photos showing the flooding in the village of Al-Mughraqa in central Gaza. The script of the video and the photo captions said Israel had opened the sluice gates of a dam. And the video included interviews with residents openly accusing the Jewish state. But no such dam exists in Israel that could control the flow of water into Gaza, according to a team of AFP reporters on the ground as well as interviews with Israeli and international experts. The AFP images, in particular the video, unleashed a scathing response on social networks. The Israeli authorities denied the information and said they had allowed four high-power water pumps into Gaza ahead of the storm in order to cope with any potential flooding. The criticism was even more acute because Israel itself had suffered from flooding in the south. Al-Mughraqa is located on the edge of Wadi Gaza, a river which is dry most of the year and that has its source in the southern West Bank. The watercourse then runs through the Negev desert and Gaza before reaching the Mediterranean. In Israel, the section which links up with Gaza is known as Nahal Besor. 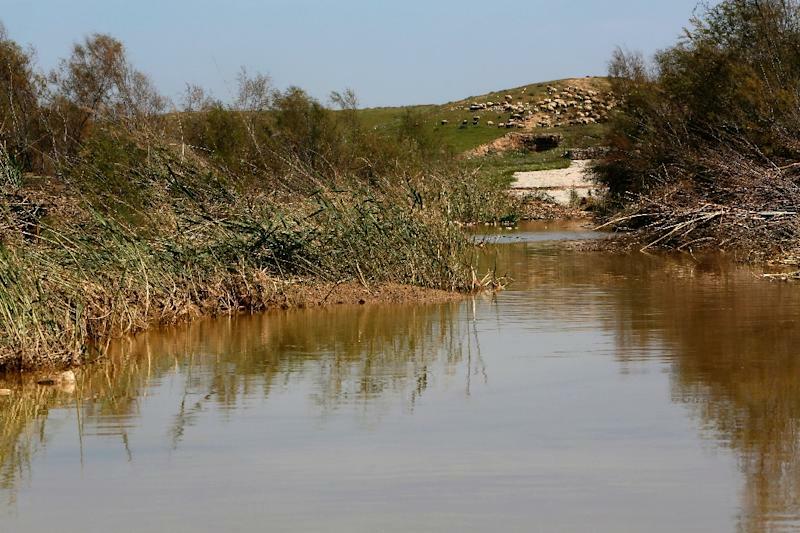 "In Nahal Besor, there are no dams that can be opened or closed, meaning that there is nothing that can cause or prevent a flood," said Nehemia Shahaf, head of the Drainage and Rivers Authority in the Negev area. Julie Trottier, a Belgian hydrology expert, also said there were no dams over the border. "To my knowledge there is no dam on the Israeli side and terrain is not suited to the construction of a dam," she told AFP. Trottier believes that due to the heavy rains, "the waters gathered naturally and it flooded." She said there were "a lot of myths about the question of water in the Palestinian territories and Israel." Israeli experts say that the volume of water which flooded the river last week was unusually large due to the heavy rainfall, with an estimated five million cubic metres passing through Nahal Besor. The last time it happened was in 2010. "It was a lot for one storm," explained Boaz Kretschmer, head of strategy at Eshkol Regional Council, the local authority in an area of Israel flanking central and southern Gaza. 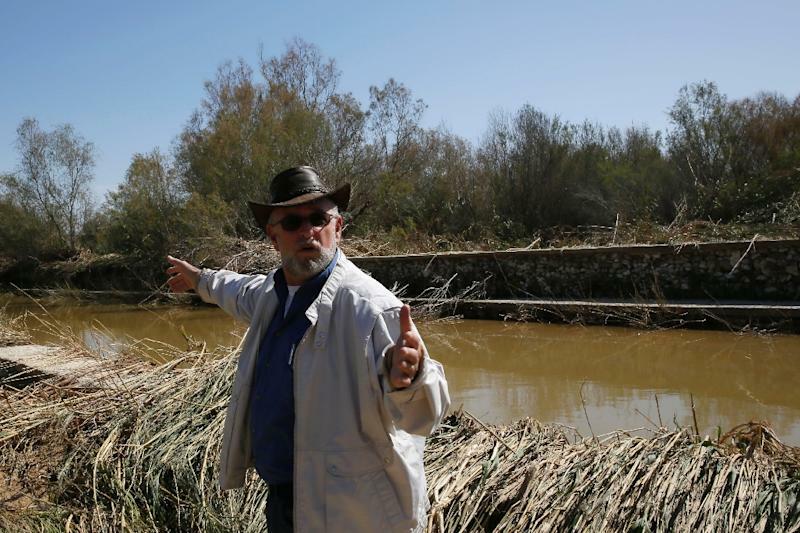 "We had 30-40mm of rain across the whole region, in the Negev, in Hebron, across the whole drainage basin and of course, the water ended up in Gaza." Standing in a section of Nahal Besor about 30 kilometres (19 miles) from Wadi Gaza, much of the vegetation has been flattened and only a small flow of water remains. What does exist here is a low stone structure, barely a metre high, next to a shallow concrete channel, which is sometimes referred to as a "diversion dam" -- whose purpose is to slow the flow of water so some of it can be diverted into a nearby reservoir for irrigation purposes, Kretschmer explained. It has no gates, nor openings, and when the flood waters hit, they simply glide over it as if it did not exist. "If it does anything, it actually reduces the quantity of water flowing towards Gaza, and not the opposite," Shahaf said. "We don't try and stop the flow of water. That would be impossible -- it has incredible power," explained Kretschmer. "There have been many dreams and plans in the past about how to stop the water because it comes in such a quantity that it could save the Negev. But all attempts to channel the floodwaters have failed. It's just not possible." Experts believe that the flooding in the impoverished Gaza Strip, which is home to 1.8 million people and has been languishing under an Israel blockade since 2006, was likely exacerbated by chronic infrastructure problems and a flurry of illegal construction close to the riverbed. But Munther Shoblak, a senior official in Gaza's water utility, said the Israelis "are not free from responsibility". "They know people live on the other side of the border and they could have informed us that the water was coming. But he also acknowledged "some Palestinian responsibility" for the flooding. "Wadi Gaza is liable to flood in an area which is about 70-100 metres wide but in some of these places, there has been illegal construction and cultivation, which has reduced this area to 15 or 20 metres," he told AFP. Israel has learned about flooding the hard way, Kretschmer said. "We have learned that you cannot live or build on the river banks because once every 10 years, it all gets washed away."